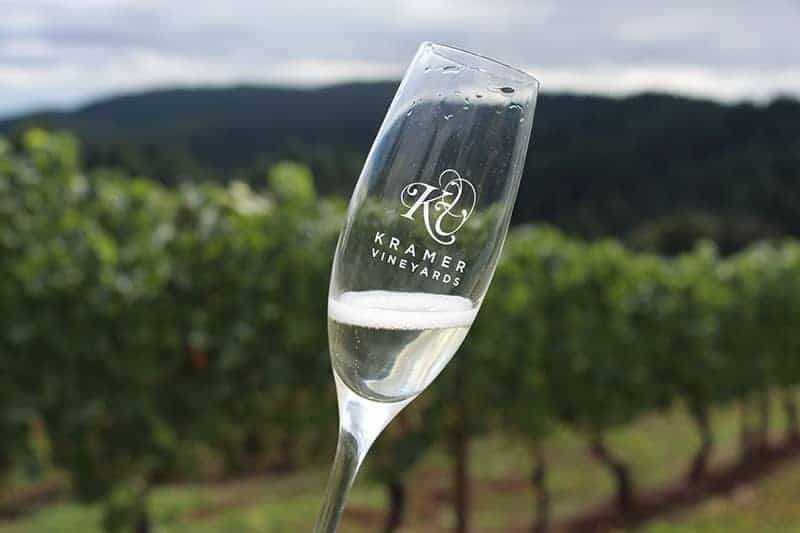 I first met winemaker Kim Kramer, of Kramer Vineyards, last fall during their Oenocamp – a day-in-the-life of harvest event created to teach consumers about sparkling wine production. I’ve since grown to know her through Twitter and a series of virtual tastings she conducts for bloggers to better understand her wines. 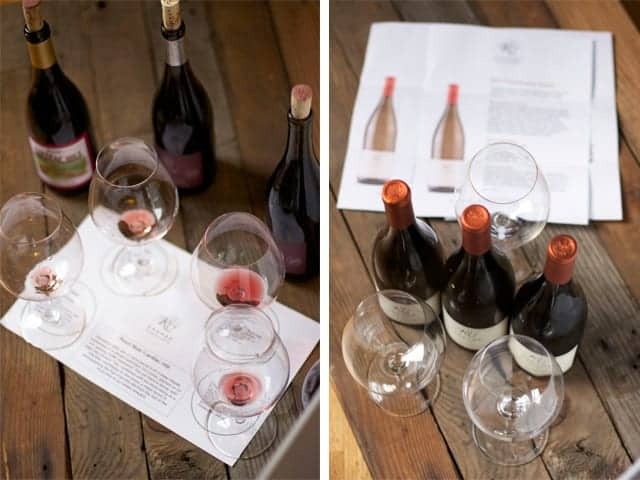 In each series she focuses on a specific theme; one such tasting focused on the release of a unique sparkling wine made from Carmine grapes, one was a three year vertical of their Chardonnay, another was a four year vertical of their Pinot Noir. In each tasting I grew to understand and appreciate the wines of Kramer, while getting to know Kim a little bit better. 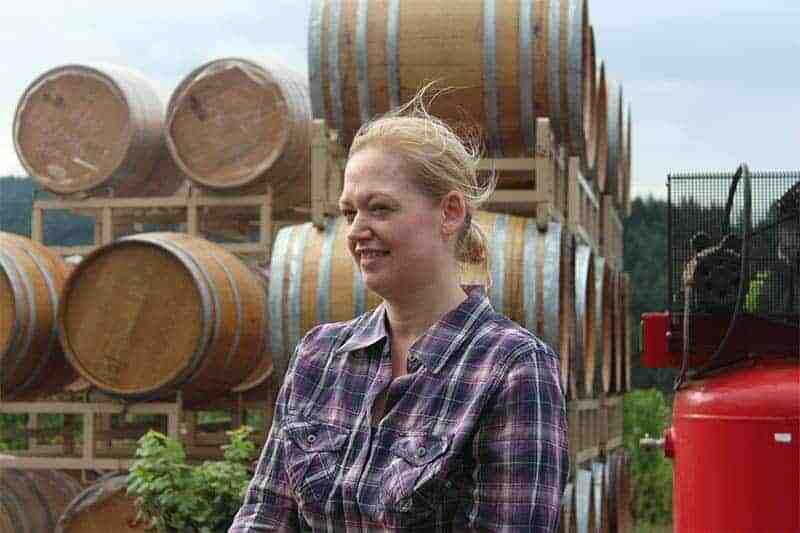 Two things that strike me the most about Kim is her laid back and down to earth demeanor, the other is her passion for producing sparkling wines in Oregon. 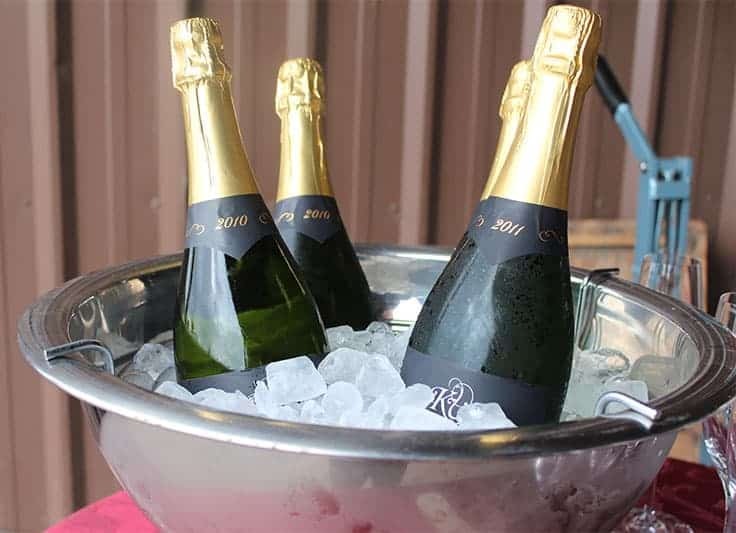 I love bubbles above all other styles of wine, so it should come as no surprise that I am over the moon to see more and more producers here in Oregon experimenting with sparkling wine. I had a chance to interview Kim recently about her involvement in social media, her thoughts on drinking sparking wine from a large Pinot Noir glass, favorite foods to pair with her wines, and more. I met you during your Oenocamp last fall but got to know you through your virtual Twitter tastings. Why do you commit to the Twitter tastings? And what value do you see from committing so much time and effort to these virtual tastings? I’ve been using Twitter for a few years now, and have found it to be a tremendously effective medium for learning about wine. The educational aspect is what initially drew me to the virtual tasting concept, and I’ve been delighted by both the level of participation, and the quality of the conversations that are being had about wine. It’s been a great experience for me to share the story of the wines and our winemaking philosophy, connect with new people, and further develop our relationships with those who write about wine. What would you say to winemakers/producers who are hesitant to use Twitter? I can certainly understand apprehension about social media. The only reason I started was to promote our brand. We have a presence on multiple platforms, and we’ve cultivated different audiences with each one. I really like Twitter in particular because I have a short attention span, and it’s easy to bounce in and out of a conversation. It’s also open, which I really like, because it allows me to follow whomever I like, it helps others to discover us. It has been an effective way for us to interact with journalists and trade as well. This has many benefits—certainly, it’s good for the brand to get in front of a wine writer or a current or potential customer, but it’s also a way for us to follow conversations about our wines, and wine in general. What are your thoughts on drinking bubbles out of a Pinot Noir glass vs. traditional Champagne flute? Flutes all the way. I don’t understand the recent movement to serve sparkling wines in large-bowled glasses—the wine loses its sparkle more quickly. Where’s the fun in that? Favorite pairing for your signature brut sparkling wine? What’s your favorite wine to make (besides sparkling)? Pinot Noir. I was able to work a harvest in Burgundy in 2010, and that experience really defined how we make our Pinots. Perhaps it’s the routine of the pumpover and punch-downs; it feels like the most hands-on winemaking that I do, and I really enjoy the work. There’s almost something therapeutic about having that level of contact with the wine. What is it going to take to get more producers in the Willamette Valley to commit to making sparkling wine? The biggest obstacle in sparkling production is the cost of the specialized equipment required. If there was a custom sparkling facility where a small producer could bottle and disgorge the wine, I bet more producers would give it a try. If you could work with any grape variety in the world (that you don’t already) what would it be and why? The varieties I most covet are from Champagne—Petit Meslier and Arbane. There’s not much planted in the world, and I don’t think they’re even available in the United States. My dream is to have all seven allowed Champagne varieties in our estate vineyard one day. Favorite music to jam to during harvest? Pink Floyd was on heavy rotation in 2013. Shine on You Crazy Diamond is a pretty good song for punching down. Favorite place to eat in Willamette Valley wine country? The hill that overlooks the estate vineyard. Is there a person, or particular producer, that has inspired you in your winemaking? There’s quite a few, but the two significant influences have been Mark Vlossak of St. Innocent Winery and François Parent of Domaine AF Gros/Parent. I learned how to make sparkling wines from Mark while I worked at St. Innocent, so I doubt our sparkling program would be where it is today if not for him. My harvest experience in Burgundy has really defined how we approach all the wines, but especially the Pinot Noir. I’m very grateful to François for inviting me to Burgundy, and for being so willing to share his deep knowledge with me. Of course, without my parents and all they’ve built, I probably wouldn’t be making wine at all, so they’re my biggest inspiration.